The new 2018 OLD STREET inherits the proven performance geometry from its previous model and receives a new paint scheme and several upgrades to enhance the single speed spirit. First of all, the inner brake cable routing gets upgraded. We’ve replaced traditional inner brass tube with modern interchangeable cap system. It not only reduces weight but also provide better rain protection when rear brake is not installed. Second, the mud and tire clearance on both frame and fork are increased, so it can accommodate tires up to 35c for better handling during cyclocross season. Third, we increase rack mounts on the upper center of our oval segment fork, so various front rack models can go with 2018 OLD STREET easier. 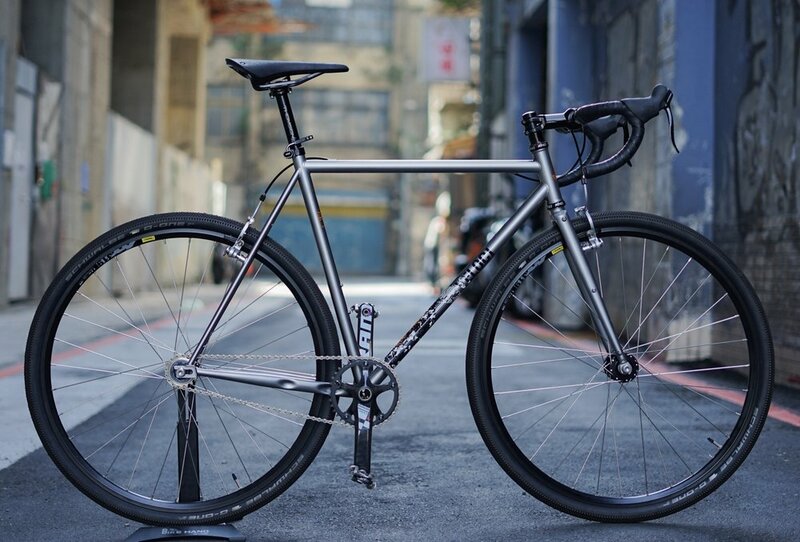 The old street represents our vision of the ideal multi-purposed track frame for modern riders.